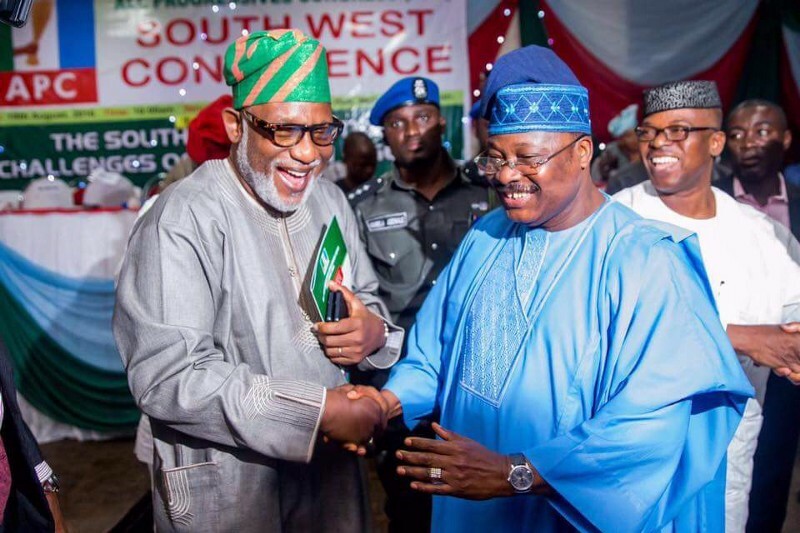 Oyo State governor, Senator Abiola Ajimobi has sent a congratulatory message to the Governor-elect of Ondo state, Mr Oluwarotimi Akeredolu SAN, on his victory at the governorship election concluded yesterday. He also felicitated with President Mohammadu Buhari and the leadership of the All Progressives Congress for their respective contributions to the eventual victory of the party’s candidate. In a statement by his Special Adviser on Communication & Strategy, Mr Yomi Layinka, the governor expressed great joy and deep satisfaction at the relatively peaceful conduct and eventual results of the keenly contested election. He was especially full of praise for the mature and brotherly behaviours of both contestants and the electorate noting that only in such peaceful and comradely environment can Nigerians hope to build a truly democratic culture. While praying for God’s grace and wisdom for the governor-elect, whom Ajimobi described as a long-term friend and brother, he admonished Akeredolu to realise that winning an election is only the first step in the many more arduous stages of delivering good governance, especially as such delicate times as these. The statement concluded by congratulating the people of Ondo State for making such a great and profitable choice by electing Akeredolu whom the governor described as a decent, egalitarian and competent gentleman with a long history of commitment to the interests and welfare of the [people].